The University of British Columbia is home to several world-class museums and galleries. 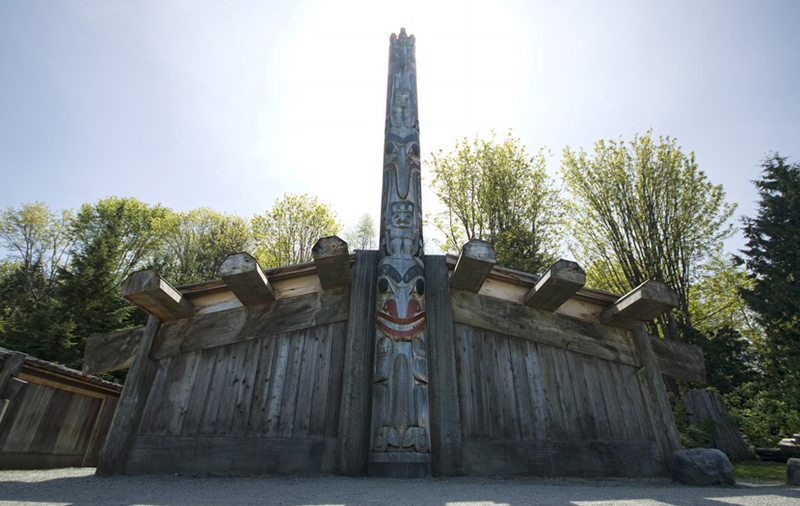 This half-day tour at UBC’s beautiful campus will take you through two of its most celebrated cultural centres – the Beaty Biodiversity Museum, and the Museum of Anthropology. This tour will be limited to 25 people. 12:20pm -Guests meet at the North Lobby of the Sheraton Vancouver Wall Centre Hotel. 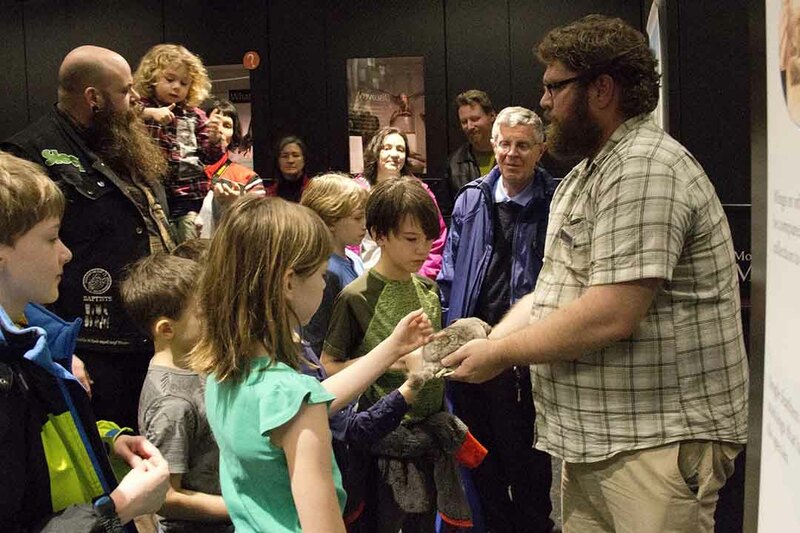 Go behind the scenes at Vancouver’s natural history museum. Beginning with a curator-led tour of the Cowan Tetrapod collection, you will peek into the museum’s visible storage cabinets and unveil the stories behind some of the 2.1 million specimens in the collection. Behind the scenes, you will tour the fossil lab and see specimens up to 500 million years old, and then visit the freezer to see the frozen tissues archive and collections waiting for prep. Finally (and not for the squeamish) you will tour the Vertebrate Prep Lab where you’ll see staff and volunteers preparing a variety of animals for preservation, and see how a colony of beetles are some of the hardest working (and hungriest) helpers at the museum. Free time for viewing the museum exhibits is also included. 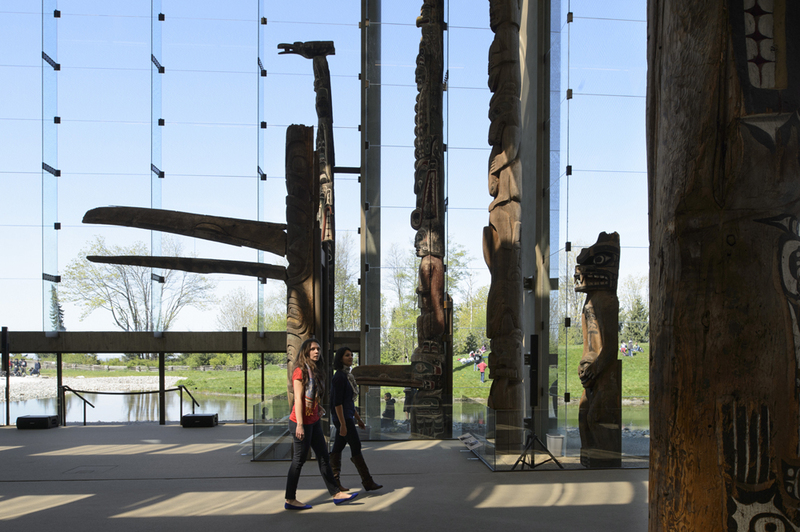 This visit will include tours of two exhibition spaces devoted to Northwest Coast first Nations art and culture. Exhibition Designer Skooker Broom will tour you through the Museum’s Gallery of Northwest Coast Masterworks. One of the most elegant and innovative exhibition spaces of its kind, the 210-square-metre gallery pairs cutting-edge technology with an inviting and natural setting that reflects the surrounding environment. Skooker Broome will speak about the integration of technology, digital media, and lighting in the overall design of this new gallery. MOA Pacific Northwest Curator, Pam Brown, and Education Curator, Jill Baird, will also tour you th rough Cultureat the Centre, a new exhibition that highlights the important work Indigenous-run culture centres and museums in BC are doing to honour their culture, history and language. Free time for viewing the museum exhibits is alsoincluded.